This is not an idle question. “Dark” ARGs seem to be crawling out of the woodwork. Whether it’s The Human Pet (a story of kidnapping and torture that was censored from YouTube for disturbing content) or Bristel Goodman (a narrative revolving around a string of racy webcam-girl murders) things are getting scary in the ARG scene. The game with perhaps the greatest potential for controversy is the Nine Inch Nails game Year Zero, which contains anti-establishment messages that can be seen as promoting terrorist measures against a secretive government very similar to our own. It’s easy to imagine a fan taking the game too seriously and doing something stupid. What responsibility do the game creators and backers have in such a situation? A string of lawsuits touching on similar issues have plagued the entertainment industry for years. Congressional hearings on decency and the media have been held for music, television, movies and — most recently — video games. The big four branches of entertainment self-regulated to avoid liability by instituting ratings systems. While this is definitely not a perfect system, it does help provide marginal protection to creators. However, the existence of a video games Ratings Board creates nearly as many problems as it solves, and for similar reasons, establishing an ARG Ratings Board would not be an ideal solution. Puppetmasters relinquish a degree of control the instant their trailhead hits the internet, and providing game materials to a panel before launch paints an incomplete picture of the final product. As the genre becomes more mainstream — perhaps within the next few years — the ARG community will need to address the issue of liability. Most solutions, including stringent self-regulation on the part of puppetmasters or pre-launch advisory committees, will severely curtail the freedom of expression currently enjoyed in the medium. Sadly, this columnist feels that some form of change will be necessary. By the way, the MPAA gave Jisatsu Circle an R rating for disturbing thematic elements, strong violence/grisly images and some language. So view at your own risk. Very interesting article! A ratings system for ARGs… As you said, this is (currently) not a plausible solution for dealing with ‘darker’ games. For one, it would destroy the curtain. Beyond that, as you stated, players may develop the game in such a way that it becomes darker than was originally intended. Fortunately, at least at this point, players seem content to police the community and give games ‘age ratings’ as they go. For example, before I even read this article, I knew that Bristol Goodman, The Human Pet, and Year Zero featured inappropriate content, simply because players are kind enough to put those kind of warnings in Trailhead topics. However, as you said, if ARGs become mainstream, liability will become a bigger issue. It’s unfortunate, but true–especially in the sue-happy world we live in today. Wow. I’m impressed that you imagine the worse possible hypothetical situation and then act as if there is a problem to solve. Your initial example is based on a film dealing with a cult inciting people to suicide, not an ARG. But because people in the movie script behave a certain way, you think that real people would do the same? I don’t think so. I haven’t seen any evidence supporting that concept. Here is one reason – people playing alternate reality games in a community help to keep each other safe. Instead of having a cult-like effect where everyone will drink the suicidal Kool-Aid if so ordered, the ARG community is a vibrant, diverse and perpetually questioning group of people. No one is going to do anything questionable just because a character or a puppetmaster seems to “tell” them to. If anything, players of ARGs learn to be more careful in examining their environment and the messages they hear, not less so. Take your example of a game with the “greatest potential for controversy” the Year Zero game. I personally do not find it easy to imagine a fan “taking the game too seriously and doing something stupid.” I’m not sure why you do. ARG players haven’t taken games too seriously in the past and caused harm anywhere have they? Do you think that is simply because the subject matter of those games wasn’t as “dark”? I just don’t see where you are coming from with this. If perhaps you mean a mentally disturbed person being affected by a game, then you should make that clear. As you know, the governmental regulation of content is extremely complicated. I’m not sure that saying entertainment industries self-regulate to avoid liability is correct. I think industries self-regulate to avoid government interference, hassle and expense. ARGs must already comply with online privacy and child protection laws. Because of their nature as online games, ARGs are subject to more direct governmental legislation than any movie, song or videogame. I do agree that members of the ARG community, in general, are very perceptive, supportive people with the best intentions in mind. However, all it takes is one person to do something ‘crazy’ in the name of an ARG to turn this ‘what if?’ conversation into a ‘what now?’ discussion. Sad, but true, in my humble opinion. This is an easy question, to which the answer is “none.” There have been repeated misguided attempts throughout history, and more so lately, to assign blame to authors, musicians, entertainers, novels, video games, and so on, for the actions of disturbed individuals. Thankfully, the courts have so far continued to recognize that individuals are still responsible for their own actions in the absence of any type of obligation to the alleged “inciter” or other form of duress. Perhaps part of the problem here lies in conflating what we consider in consensus to be an “ARG” with what we consider to be a “hoax.” Of the list above, the only one I would consider an ARG is Year Zero, which is set in the future and so very clearly fictional. I suppose if the term continues to be subverted to mean any kind of thing that seems “real,” and we don’t as a community continue to point out the flaw in that reasoning, your nightmare scenario might become more likely. As I recall, Jane McGonigal made a similar point to this in her first paper on Alternate Reality Gaming, in which she suggested a danger that some people would find such things to be “too real” and perhaps respond unfortunately. When I asked her about this in the I Love Bees post-game PM chat, she had since recanted her original position. Also consider: as the market expands and becomes more mainstream – that is, when younger crowds embrace the entertainment form, with no system of policing propriety and content, many people will have an added desire to ‘abuse’ the system. As with the common sentiment of hackers – doing it for the sake of doing it – imagine what will happen if/when a fringe group grows and there’s a trend in perversion of the genre. We have guidelines for etiquette and gameplay, for players and creators, and they’re self-imposed. What will happen when people decide those rules are made to be broken? When they question ‘authority’… with a self-made genre, there are no rules, so who’s to say they can’t be broken? Those people may be ignored or shunned by the core community, but they will still exist, and the effects could be quite negative.. This article was written as an extreme case of a pessimistic future. Currently, the ARG community appears to have a pacifying effect on behavior. And there is no precedent for declaring legal culpability for people’s actions based on violent or sexual content. The concern I attempted to raise here was the moral question that led to the institution of the Hays Code and later to the numerous Ratings Boards: the amorphous concept of “ethical” liability. When a large part of the allure of the genre is discovery and individual creation, who should tell people “this is not intended for young children”, and how should it be done (if it should be done at all), especially as participation and discussion becomes decentralized? Currently, the ARG community appears to have a pacifying effect on behavior. I can’t help but get the feeling you have a view that human behavior that tends toward the violent. It is as if you expect people to do violent acts, but so far the ARG community has “pacified” that behavior. That is not at all what I think, or what I meant by my comment. The ARG community doesn’t pacify people, it helps them become more aware of the world around them. who should tell people “this is not intended for young children”, and how should it be done (if it should be done at all), especially as participation and discussion becomes decentralized? I think there are already laws about young children and the internet. I think that game creators will comply with those laws. Again, is this concern coming from the Year Zero game? Is there some fear that perhaps a rating should have been included with that content? I’m not sure how all that content was delivered, but I think most of it was hard to find. I don’t think a young child could have inadvertently stumbled on it. I know that I had trouble reading it, so I think a young child would as well. I suspect you are too young to remember the early dungeons and dragons days. Some forethought to prevent this kind of thing might be warrented. Rose, I agree with you in that respect–there would be no young children ‘stumbling upon’ any of those websites; the only one with any link to the ‘outside world’ so-to-speak (and correct me if I’m wrong; I’m not playing this game) is the website hidden on the Nine Inch Nails t-shirt (or the music files at the conerts). I’m assuming that anyone old enough to be listening to Nine Inch Nails is old enough to be playing the Year Zero game. The concern I attempted to raise here was the moral question that led to the institution of the Hays Code and later to the numerous Ratings Boards: the amorphous concept of “ethical” liability. If we’re using those guidelines as examples, then I should expect in your posited future we will see more “dark” subject matter and less Dana or Nisha. And now I may weep for the future along with you. Dungeons & Dragons has also been the subject of unsubstantiated rumors regarding players having difficulty separating fantasy and reality, even leading to psychotic episodes. The most notable of these was the saga of James Dallas Egbert III, which was fictionalized in the novel Mazes and Monsters and later made into a TV movie. I think the greater problem is that ARGs will get blamed for things that they had nothing to do with because people believe memes and rarely bother to check sources. Also, to look at the DnD analogy a little more closely, TSR actually REMOVED references to Demons and Devils in their monster manual, bowing to pressure from religious conservatives. THIS is the kind of ridiculousness that we end up with when people start to get twitchy and give up their rights because of some amorphously defined “greater good.” It is NOT protecting the children if they do not have the right to express themselves when THEY are adults. There is a MESSAGE (at least one) to Year Zero, (preventing censorship of art) and I believe it may have been completely missed. Not just missed, but turned against it to actually suggest censoring it. Is that ironic or what? I would like to think that people as observant as ARG players would, seeing people talk about censoring Year Zero, simply take its message to heart even more. Fighting the censorship a fictional, exaggerated government in the future gets the message across. Seeing people in the present talk about censoring that gets the message across better, making it current and relevant. The stigma against horror genre benefits Year Zero. Like most of the Internet, ARGs would be impossible to regulate anyway. Preserving the current system, where there is no oppressive and artificial authority but people keep themselves in line out of mutual respect (and by shunning really bad moves), is about the best we will ever get. Enjoy it while it lasts, because eventually, ARGs will either hit mainstream or die, and I think going mainstream is just around the corner. Wait, wait, wait! I don’t think anyone’s suggested the ‘censoring’ of Year Zero–just a simple guideline advising younger players to proceed with caution. It would only serve as the ‘R’ slapped onto piles of movie releases each year. Personally I found Human Pet and the videos of BristelGoodman to be more “adult” and “dark” and disturbing than reading Year Zero (although the Hollywood Memorium was depressing). The difference to me was I knew that Year Zero was clearly an Alternate Reality (AR) set in the possible future. With Human Pet and BG, it is easy to wonder if it *is* AR or real life (RL). That’s unfortunate. Can I take my comment back? Seriously though, if I thought that my comment would be taken as a gauge of success of the article, I would have rethought posting it. I believe the article is seriously flawed, and the LAST thing I want to do is to validate it. Let me make another analogy: One of the points of the article is that people might do things that they wouldn’t have done otherwise based on the words in the ARG. It suggests that there is some kind of responsibility on the side of the creator of the ARG to ensure that the materials don’t fall into impressionable hands. By the same token, by reading this article, they may realize that all they need to do to get away with murder is to blame it on some form of media. They didn’t know what they were doing. The evil arg makers put these fantasies out there like a loaded gun. Perhaps this article should have a rating on it. Maybe a login page with credit card verification. We wouldn’t want impressionable kids to get ahold of it. Me too. If the question is how ARGs might be rated and who would do it, then why make up a misleading story to ask that question? There are better ways to ask questions and create debate without undermining the genre or the players. I’m hoping that no one writing a story about Year Zero picks up this article and says “even ARG players are wondering if the game promotes terrorism and could lead to people doing something stupid.” And then we can be right back to the whole initial debate about ARGs – that they will lead people to do something dangerous or harmful. Was that part of your intent? To be fair, I think you did a great job with the article on Op!Aphid. Excellent work! My opinion: “Serious flaws” to one person may be (and, as is evidenced already in these comments, already are) “interesting talking points” to others. 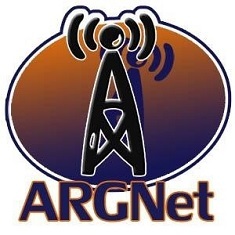 Do the opinions in this editorial reflect the views and positions of ARGNet on the whole? Nope. My other opinion: Just because ARGNet happens to be the “only place to go for ARG news” shouldn’t require our writers to be “bound, gagged and encouraged” to put a particular spin (positive, negative, or otherwise) on a specific piece of writing, especially an opinion piece. OK, just for the sake of clarification: I do not personally endorse the implementation of a ratings system in Alternate Reality Gaming. I do not personally believe that content creators are responsible for the acts of disturbed players, nor do I believe there is a moral imperative to go above and beyond the regular call of duty to shelter internet users, young or old, from “darker” content. The focus was placed upon “Year Zero” because it appears to be a Darker ARG that is reaching a wider audience, not because it is more (or less) controversial than any other ARG mentioned. HOWEVER–using the aforementioned entertainment media as an example, I believe there will be calls to do just that in the future should ARGs become mainstream. Legislators especially seem drawn to the subject matter, as numerous Congressional hearings on the subject can attest. Although it is not ideal, I believe it may become necessary at some point in the future to make concessions in the game creation and distribution process. And I believe, because of the particular nature of the genre, that it would be wise to consider possibilities and their ramifications now, rather than being saddled with something ineffective and restrictive like a Ratings Board.